The roles and responsibilities in the profession of sonography, also referred to as ultrasound, have advanced tremendously over the past 30 years with changes in technology, higher quality images, critical thinking, and patient care. An education and career as a sonographer is an increasingly dynamic and exciting opportunity to learn and perform all sonography modalities including echocardiography, vascular, and general applications. 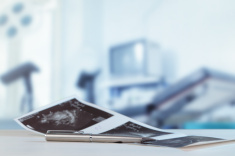 A career in sonography boasts continual learning opportunities and advancements as a medical field with multiple credentials and specialty certification exam. The Diagnostic Medical Sonography Post-Certification Bachelor Degree, is designed as a continuation of education for practicing sonographers whose personal and professional goal is to attain a degree and/or advance in their career. Given the complexity of the profession with credentialing in multiple specialties, this degree offers the opportunity to become knowledgeable in additional specialties, social sciences and/or leadership skills. View the courses required for the Post-Certification BS Sonography major. Credentialed sonographers can apply earned credits towards their degree. Advanced sonography course work focuses on preparing students for specialty certification exams (fetal echocardiography, neurosonography, breast) or an additional credential (RVT). Visit www.ardms.org for certification information. Designed to have flexibility to meet the needs of the sonographer with all courses being offered in the online format. Courses are taught by faculty members who are experienced professionals in the field of sonography. Sonographers enrolled in the part-time accelerated courses receive a significant discount from the normal part-time undergraduate per credit rate. Possess the credential of Registered Diagnostic Medical Sonography (RDMS) awarded by the American Society of Diagnostic Medical Sonography (ARDMS) in at least one specialty (abdominal or obstetrics/gynecology). Possess the American Registry for Radiologic Technology Sonography credential (ARRT)(S). Be enrolled in the University's DMS certificate program or a CAAHEP accredited sonography program and during the last session, can request consideration to continue to complete the bachelor degree program. Formal admission would occur once the graduate earned the RDMS or ARRT(S) credential. Upon completion of the BS degree, students must apply, have a minimum GPA of 3.0, and meet all the admission requirements for the MS Organization Management major for continuation in the graduate program. Provide an official copy of all previous College or program transcripts to the Part-time Undergraduate Admissions Office. Provide a copy of ARDMS or ARRT(S) certification card to the Part-time Undergraduate Admissions Office. 43 credits will be awarded for earning your ARDMS Abdominal and/or Obstetrics and Gynecology specialties examinations or possession of the ARRT (S) credential. Upon submission of your application, receipt of all official transcripts, and a copy of your ARDMS or ARRT card, the application will be evaluated by the Part-time Undergraduate Admissions office and the Chair of Sonography. All college earned credits will be evaluated for equivalence to Misericordia University offered courses for credit transfer. The Chair will contact the applicant to discuss the three tracks offered within the degree, number of credits eligible for transfer and number of credits required to complete the degree. 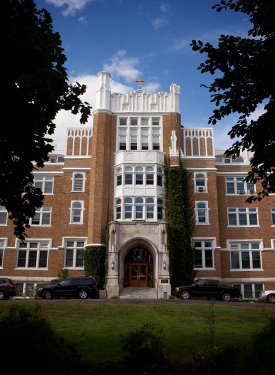 A minimum of 30 credits must be taken at Misericordia University to earn the baccalaureate degree. Recommended for sonographers who possess both the Abdominal and OB/GYN specialties. Recommended for sonographers who possess either the abdominal or OB/GYN specialty. Recommended for sonographers who currently possess a bachelor degree in another major. Recommended for those interested in pursuing a Master's degree upon completion of the bachelor degree. Provides opportunity to complete 12 credits of the graduate (MS) coursework while completing the BS degree saving tuition and time to complete both degrees. All three tracks require a completion of 125 credits to earn the baccalaureate degree. Click here to view the B.S. DMS curriculum requirements and DMS major course electives.